If you gave a rock the same power to make important decisions as a person, the sentient ability of this inanimate object would cause less harm than giving a corporation the impetus to demand ‘rights’ the same as a human being. A rock lies still. It harms no one. A corporation makes lasting, possibly irreversible changes to our world that must be seen for what they truly are – abominable. As people of this sphere we are relegated to begrudge the incessant ecological and humanitarian trespasses which corporations inflict, and we seem cretinous about what to do about it. The sophomoric assertion that we can ‘just focus on ourselves’ as the new age movement often suggests is part of the problem. Being ‘conscious’ does not mean everything is unicorns and rainbows. We can’t just brush aside public policies as if they can be peace-rallied into change. Realizing that the more than 100-year old legislation that gave corporations the same rights as people is what has brought about the numerous atrocities in our world – from nuclear economies (be they accidents or false flag events, outright war, or subtle eugenics) to the infiltration of government agencies by corporate interests (including the FDA, CDC, CIA, FBI, NSA, etc.) is the beginning of truly cutting the snake’s head off. Former Texas Congressman, and presidential candidate Ron Paul has said, “you lose total control” of the right to your own body when rights are given to corporations. According to Paul, the freedoms of speech, religion, assembly, etc. are a ‘property rights’ issue. He imagines that if our own bodies were considered our own property, and the laws protecting ownership of that property were more strictly interpreted, we would all be o.k. Sadly, even that notion is threatened as the government, in collusion with corporations again, plans to take even this right from us. Arguably, even the men who penned the Constitution really created a republic designed to protect property, not people. The violations of these rights are not punishable in the Supreme Court because corporations have become too powerful. Precedence for ignoring pollution, allowing extravagant CEO wages, mistreatment of workers, and the bailout of banks and other corporations who are ‘too big to fail’ is the bottom line. It is accepted, though complained about vehemently by those who are paying attention. Corporate entities, in fact just ten of them, are still controlling almost everything you do, see, and buy. “Our Bill of Rights was the result of tremendous efforts to institutionalize and protect the rights of human beings. It strengthened the premise of our Constitution: that the people are the root of all power and authority for government. This vision has made our Constitution and government a model emulated in many nations. Fukushima happened because we gave corporations personhood. The Iraq and Afghanistan wars gave countless contractors the ability to hide behind legal rights meant for human beings – no corporation takes accountability or financial responsibility for the damage they inflict. The Deepwater Horizon Gulf spill perpetrated by BP was absolved. The ongoing fracking incidents are equally horrid, and carried out by multiple corporations. If a human being murdered all the people that these corporations had killed, they would be in jail for many lifetime sentences. As it stands, none of these criminals are jailed, or even put before their peers or a judge for a trial. There is only one way to stop this beast. Corporations can no longer be considered persons. If they were a ‘person’, they would be in a straight jacket taking multiple anti-psychotic medications to keep them stabilized. 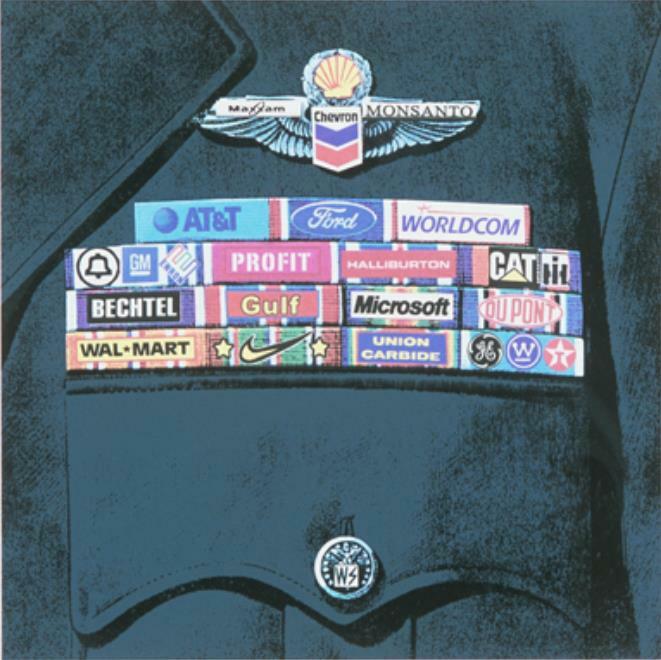 You can learn more about how corporations have changed our world, by watching The Corporation. Please add your comments and suggestions to reverse this ill-created concept of corporation as persons with the same legal rights as a human being. via Citizen Corporation – The Mutation of \’Personhood\’ – Waking Times. This entry was posted in Uncategorized and tagged abominable, anti-psychotic medications, Art of War, Bill of Rights, CDC, CIA, Corporate Capitalism, Corporation, Corporations, corpse, Deomcracy, FBI, FDA, fracking incidents, lies, Matrix, Mutation, NSA, Person, personhood, shadow, Sun Tzu, supreme court, The Ccorporation, US Government, war. Bookmark the permalink.